Home / Posts Tagged "tooth implants in Melbourne"
Why Dental Implants are a Great Option? A missing tooth can be painful, embarrassing, and lead to several oral issues. Unrivalled in durability and strength, the dental implants help restore the look and function of a missing tooth. So, why are dental implants such a great option? Come on let’s find out. You can replace any number of teeth! With dental implants, you can replace all your teeth. Yes, even if you have lost entire arch, you can replace it with dental implants in Melbourne. As the implant is inserted to the jawbone, they provide a sturdy foundation to hold a single crown or bridge or even support an entire full denture. The implant-retained denture provides the advantage of being non-removable so that patients will enjoy more natural results which is much better than traditional removable dentures. Dental implants are extremely strong! 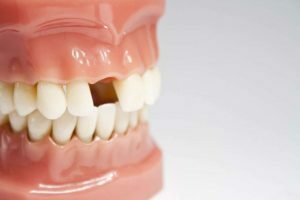 While dentures and bridges rely on the gums and neighbouring teeth to be supported, tooth implants in Melbourne are anchored directly into the jawbone. In addition to making them virtually indistinguishable from the natural teeth, implants also provide the replacement teeth with a much stronger hold. So, patients can speak, eat, and smile confidently without having to worry about it may slip. Dental implants can last longer! Well maintained dental implants can last longer as long as you live. Moreover, compared to dentures and bridges, implants success rate is high, and they offer the most durable, secure, and natural-looking results. When dental implants are placed by highly experienced implant dentist or an oral surgeon, they can last more than 30 years. Dental implants improve facial and bone features! Unlike dentures and bridges, dental implants in Melbourne preserve natural tooth tissue by avoiding the need to cut down the adjacent teeth. They also help preserve jawbone tissue and significantly reduce bone deterioration that results in loss of jawbone. Now, let’s take a closer look at three primary parts of dental implants that makes dental implants a terrific option. Implants are made of a titanium material which is a bio-grade screw that does not have any side effects. As it is a biodegradable material once it is inserted into the gum, it naturally fuses with the jawbone through the process called osseointegration. This is the primary reason why dental implants are the most durable solution for a missing tooth. The abutment is a small portion that is attached to the implants once the osseointegration process has been completed. It is screwed into the implant fixture and holds the dental work. The prosthesis is the artificial teeth that are attached to the implants. A crown or bridge is cemented or screwed into the abutment. Hope now you are clear why dental implants are a great option, and this is why dental implants cost in Melbourne are bit high than other restorative options. While they are not an affordable solution, dental implants are the most durable and permanent solution for a missing tooth. Do not consider the price; think about the long-term benefits they provide.